Dinosaurs lived in the Rumoi Area long before the dawn of humanity. 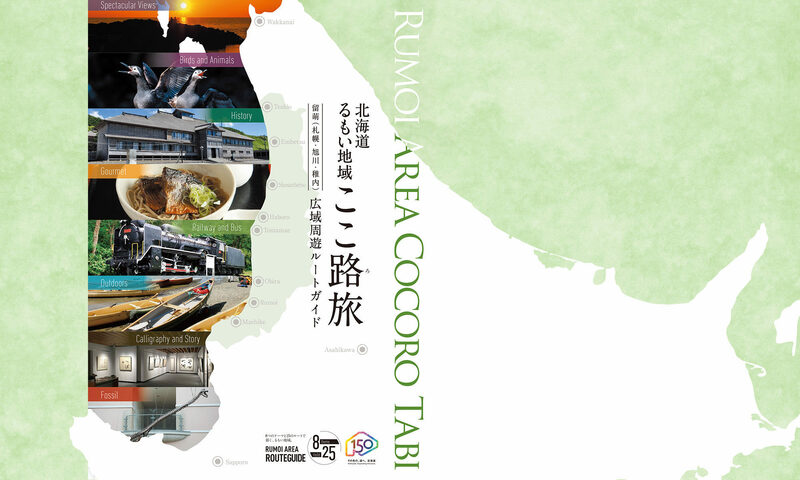 Ammonites from 100 million years ago and the Shosanbetsu sea cow from 12 million years ago are some of the fossils you might encounter in the Rumoi Area. You can journey through the museums of the Rumoi Area to see these fossilized creatures and imagine what their life was like eons ago. That Hokkaido has an uncommonly large cache of fossils is not a well-known fact. The large amounts of well-preserved ammonites here have made Hokkaido into a prominent location on a global scale. Ammonites fall under same cephalopod classification as squid and octopus. The diversity of size and color found in the ammonites of Hokkaido make the deposits here a target for fossil fans and collectors. The fossil-rich strata in Obira, Kotanbetsu and Haboro are part of the Ezo formation, a 100 million-year-old geological layer which was once at the bottom of the ocean. The “Shosanbetsu Sea Cow”, which dates to 12 million years ago, was found in the Shosanbetsu area. Sea cows are mammals which are related to manatees and dugong The sea cow fossils found in Japan have been mostly those adapted to cold water, but the Shosanbetsu sea cow is believed to have been a warm-water mammal. This fossil is also unique as it was the first which was found with a fetus. We can learn a lot about primeval life on earth from the fossils of the Rumoi Area. The fossils of the Rumoi Area give us priceless hints about the primeval environment and the evolution of life. Copyright © 2018 北海道留萌振興局 All Rights Reserved.